First set up MozLocal, MozLocal handles all the aggregating directories that are extremely irritating to set up, it shows which of the most common directories are completed accurately and It shows duplicate listings. 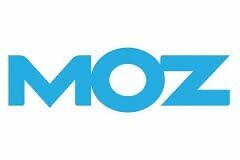 MozLocal is extremely economical when considering the cost of submitting to all the directories they provide in their annual plan. After MozLocal is set up, it’s time to set up BrightLocal. BrightLocal provides businesses with data and it generates excellent competitor analysis reports that show a business where it stands, it helps the business determine how much work it should take before results appear. BrightLocal is one of the most amazing Google Maps marketing tools, it helps find competitor citations and it has accurate ranking reports. BrightLocal also lets you white label all your reports and they offer a review widget that you can add to your clients site, when creating the widget you can customize it and select the best review sites for whichever particular area the business is located. Although BrightLocal offers great tools it does not necessarily help find many niche related citations and citations outside of competitors results, this is where WhiteSpark comes into the equation. Unlike MozLocal & BrightLocal, WhiteSpark finds an incredible amount of citation building opportunities, not only for localized opportunity but for niche related as well. If you are in a very niche related business or you have a ton of competitors, WhiteSpark will help you discover lots of great directories, a real edge over your competitors. Lastly, searching for your “Niche + Location + Directories” in Google will help you discover citation opportunities, but that’s not all… you can also learn which review sites Google is watching, understanding the information Google is returning can be very beneficial for a local business. In some cases you will see review site like YellowPages ranking above all local listings on a SERP, in this case, it would be wise to get some reviews on YellowPages. Reviews are important and understanding which review sites are right for your business is easy to discover with Google. Google My Business Launching NOW Biggest Google Local Update Ever! Donnie Strompf founded Good At Marketing after years working as an in-house SEO and Digital Marketing Manager for several agencies. With over 10 years of experience, Donnie decided to open up Good At marketing with one thing in mind, provide a better service for clients regardless of cost.